An island in the bay that the mouth of the Hudson River forms south of the tip of Manhattan, New York. From 1892 to 1954 the island served as the main arrival point for immigrants to the USA. Over 12 million people were processed here. It was a tough screening process, though, and not everybody made it. Those who didn't were sent back. So while essentially not such an unhappy place, it did have its dark side. The site was turned into a museum in 1990 – and it is excellent! What there is to see: The Immigration Museum on Ellis Island is superb. It covers all aspects of immigration in the past, with a natural focus on what went on at the site itself, including the not-so-nice aspects … of detention and in some cases rejection. It also covers other dark sides related to immigrants in the USA elsewhere, especially the treatment of immigrants of Japanese descent during the time of the Pacific War with Japan in WWII: basically, Japanese people living in the US in those days were routinely interned in what can be described as a mild variant of concentration camps. It wasn't a particularly nice chapter in US history and nothing to be proud of – yet, it is covered here with astonishing honesty and openness. Personally, I would not have expected this, to be frank. Hats off! The rest of the museum is a bit more celebratory, but still interesting to check out. Temporary exhibitions complement the permanent museum sections. Location: in the Upper New York Bay of the Hudson River estuary, a bit over a mile (1.7km) off the south-western tip of Manhattan, New York, USA – just north of the Statue of Liberty island. Access and costs: free admission, but getting there requires a costly ferry crossing. Details: The only way to get there is to use the ferry services that take visitors to both the Statue of Liberty and Ellis Island (they operate in a loop). These depart from Battery Park at the tip of Lower Manhattan. They are run by Statue Cruises and the trip costs a whopping 13 USD – but admission to the Ellis Island Immigration Museum as such is free. You're advised to reserve ferry tickets in advance (online at statuecruises.com, or by phone: 201-604-2800). You may still have to be prepared for long waits. Security is tight: airport-style searches and screenings are carried out – but the difference is: no large items of luggage are allowed! So don't take anything big along. In general it's a good idea to get there early to allow for sufficient time, esp. if you want to get off at the Statue of Liberty as well (if you want to visit both the Ellis Island Museum and the Statue make sure to get an early start). Ferries depart roughly every 20 minutes from ca. 9 or 9:30 in the morning (check exact details at statuecruises.com). Time required: The museum is quite comprehensive, and if you want to see everything you'll have to allocate a couple of hours at least for the museum exhibition alone. Plus time for getting there – by ferry – and queuing at security. If you want to combine the trip with a visit to the Statue of Liberty, then about five hours in total are required for the return trip. Combinations with other dark destinations: see New York – since the ferry to Ellis Island departs from Battery Park, you can have a look at the Sphere sculpture salvaged from "Ground Zero" and put here (for the time being) together with an eternal flame as a memorial to 9/11. The actual site with the new official memorial is only a few blocks up the road in Lower Manhattan too. Geographically it's not a convenient combination, but if you want to see the "other side", i.e. 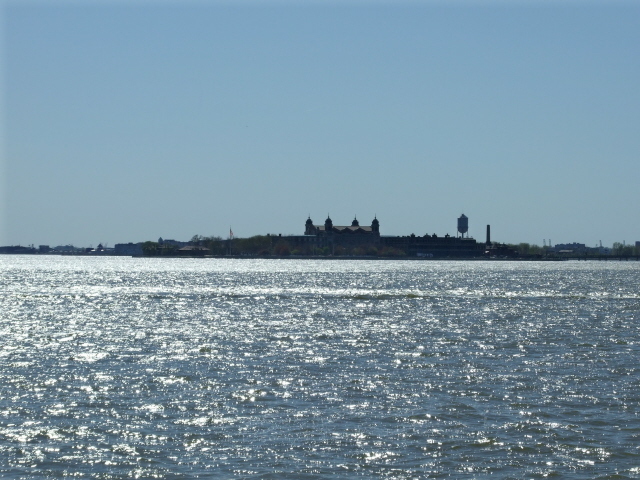 the places where many people with the destination Ellis Island set off from, go and see the German Emigration Museum in Bremerhaven or BallinStadt in Hamburg, Germany, if you get a chance (both places also offer genealogy research facilities). Combinations with non-dark destinations: in general see New York – obviously, as the Statue of Liberty Island is served by the same ferry as Ellis Island, it makes the most natural combination. From the boat you also get the very best view of New York's skyline! Although you can have just the latter for free from the Staten Island Ferry!